The Polo is the first VW model with the latest generation of the brand's virtual cockpit, replacing its predecessor's old analog instrument dials. The latest Polo -- with its high-tech digital instrument display -- couldn't come at a better moment for one Volkswagen salesman. "It's high time," the dealer said with exasperation after surveying several older, low-tech models sitting on his lot near Mannheim, Germany. It has been especially challenging to find buyers for the 8-year-old current Polo. Things should change for the salesman with this month's arrival of the sixth-generation Polo, which has a high-tech interior and modern look. The refined finish of the subcompact's glass-encased central display even tops the dashboard in the brand’s new top-of-the-line Arteon, which was launched in June with a price tag three times higher than the Polo's. VW is not the only automaker that is packing its small cars with cutting-edge infotainment, safety and comfort features. Ford, Nissan and Kia have already done the same with their subcompacts in Europe. It's a big shift because important innovations used to be introduced in pricey luxury sedans before trickling down into lower segments over time. These days, however, the pace at which this so-called "democratization" process takes place is accelerating, driven in part by trends in consumer electronics as well as safety regulations. "More and more often we see that new features – especially in the area of connectivity and driving assistance systems – are no longer top-down. The speed at which the innovation cycle develops is so dynamic, carmakers don’t want to force their customers to wait years until the product cadence ensures higher segment cars are first equipped with them," said Stefan Bratzel, head of the Center of Automotive Management in Germany. Dirk Hoheisel, a management board member at supplier Robert Bosch, took it a step further. "In some cases, this is even flip-flopping," said the executive, who runs Bosch's car multimedia and automotive electronics businesses. A key reason for the intensifying investment in small cars is that the subcompact segment is one of the last strongholds still dominated by traditional European volume brands. The sector, where most models are about 4 meters long, has proved unappealing for premium car manufacturers to attack. Small hatchbacks are emphasizing high-end listening experiences, which is why the Ford Fiesta offers an optional system from Bang & Olufsen. The volume subcompact segment is also still growing, expanding by 2.4 percent last year to 2.82 million vehicles, according to market researcher JATO Dynamics. This was a faster growth rate than the volume compact segment, and was exceeded only by the sharp increase in demand for volume SUVs and crossovers. While the Polo is VW’s No. 2-selling model in Europe after the Golf family, the Fiesta is and will remain Ford’s more important model in the region. To better tap into growing demand for small cars, Ford of Europe recently reorganized its portfolio in the segment. By inflating the previously diminutive Ka into a plus-size minicar aimed at rational, value-focused customers, Ford marketers could begin repositioning the Fiesta as a purely emotional choice for those looking for a fun-to-drive hatchback at a relatively affordable price. JATO Dynamics senior analyst Felipe Munoz said data backs up Ford's strategy since registrations of small cars priced between 13,000 to 20,000 euros are increasing more slowly than those priced above that threshold. "Consumers are looking for more refined subcompacts, and the new Fiesta is just that," he said. "Ford's intentions of going upscale with the new Fiesta will prove it was worth it to follow the trend we've seen in this segment." Ford of Europe President Steven Armstrong told the Automotive News Europe Congress this summer that the new-generation Fiesta will be a moneymaker despite tight margins for subcompacts because Ford will offer five different variants, including a Vignale high-spec version and a crossover-inspired Active model. "It will mean people will spend more to buy a Fiesta that suits them. It will be a profitable vehicle for us," Armstrong said. Amid weaker second-quarter earnings in Europe due in part to Fiesta launch costs, Armstrong's boss, Ford Motor CEO, Jim Hackett, gushed about the new Fiesta during a call with analysts this summer: "All the early reviews have been great." VW's bosses are also showering the new Polo with praise. VW brand CEO Herbert Diess described his entry as no less than the most advanced small car ever developed. "It provides safety, comfort, performance, everyday fuel efficiency and it offers great value for money, maintaining high residual values," Diess said. "Now the Polo plays in a higher league." VW's Polo comes with equipment previously only seen on premium models such as the Audi TT. Demographics play a big role as small hatchbacks are predominantly purchased or driven by younger customers who have grown up with smartphones. They shun cars that lack the ability to quickly and seamlessly link to their handheld devices via Android Auto or Apple CarPlay. Certain features are simply more relevant for this target group. "A key purchasing reason for consumers is no longer the horsepower under the hood but rather the ability of the vehicle to connect itself to the infrastructure and its surroundings," said Bosch's Hoheisel. "Nowadays those are the kind of features that have to be state of the art." 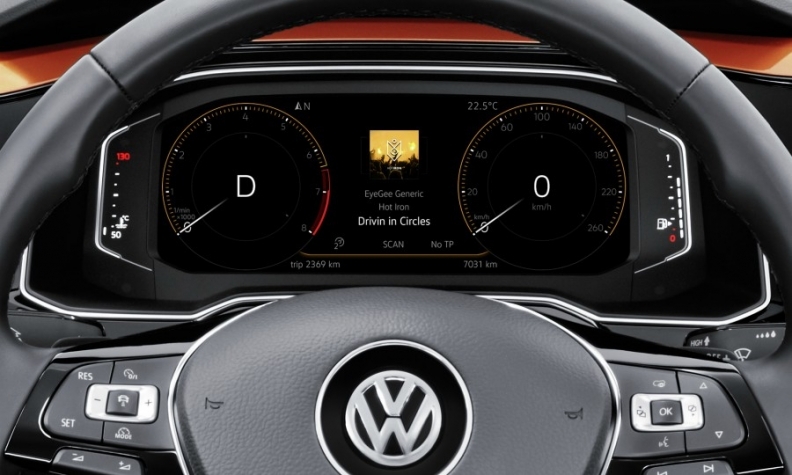 VW's Polo is the first model in the brand’s product range that comes equipped with the latest generation of the brand's Active Info Display virtual cockpit, replacing its old analog instrument dials. Only a couple of years ago, customers had to buy a premium car such as the Audi TT to get access to that level of dashboard technology. 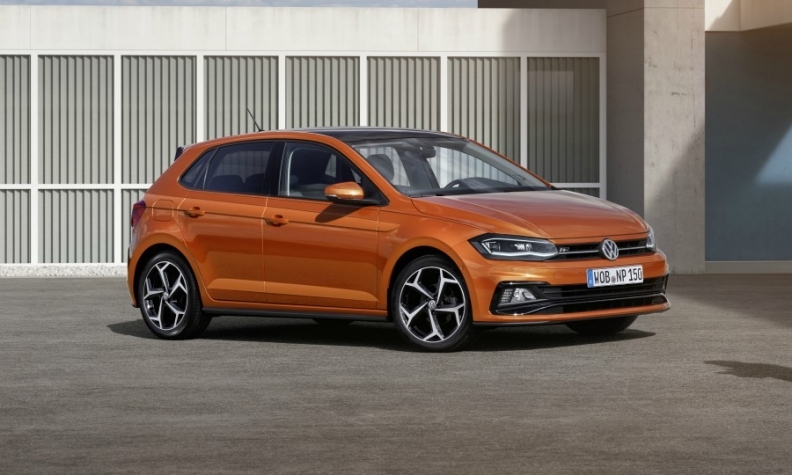 At the unveiling of the sixth-generation Polo in Berlin in June, Frank Welsch praised the new upscale features VW can afford to offer now that the model finally uses the same flexible, high-volume MQB modular architecture that underpins the larger VW Golf. "It has more interior space than any competitor. It has our newest infotainment system and is packed with driver assist systems," the brand's head of technical development told Automotive News Europe. "The [new Polo] will be a cornerstone of the brand's financial and reputational recovery strategy," wrote IHS Automotive analyst Tim Urquhart. "It features far sharper, and more contemporary styling and a host of connectivity and infotainment features to make it appeal to the young buying demographic VW is chasing with the car." Small hatchbacks are also emphasizing high-end listening experiences. 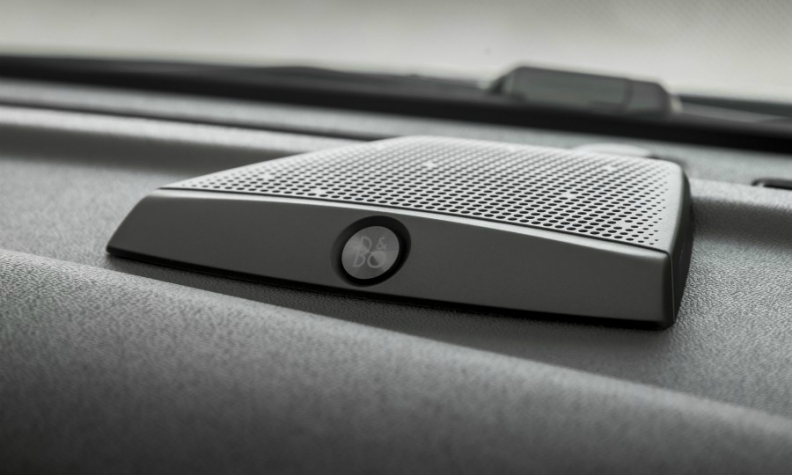 Ford, for example, struck a deal with Harman International Industries to bring the B&O PLAY sound system from its premium brand Bang & Olufsen into the Fiesta. Citing an Ipsos 2016 automotive study, Ford said audio brands had a "significant impact" on the purchasing decision for roughly one-third of new car buyers. Not to be outdone, VW teamed up with Beats, the Apple audio subsidiary founded by rapper Dr. Dre, to offer a special edition Polo priced 5,000 euros above the conventional version. The car comes with an exterior vinyl wrapping, unique color tones for the passenger cabin, and a 300-watt sound system as its centerpiece. Just to make sure no one mistakes the owner for having grown up with compact discs, "Beats" logos are plastered on, around and inside the car. 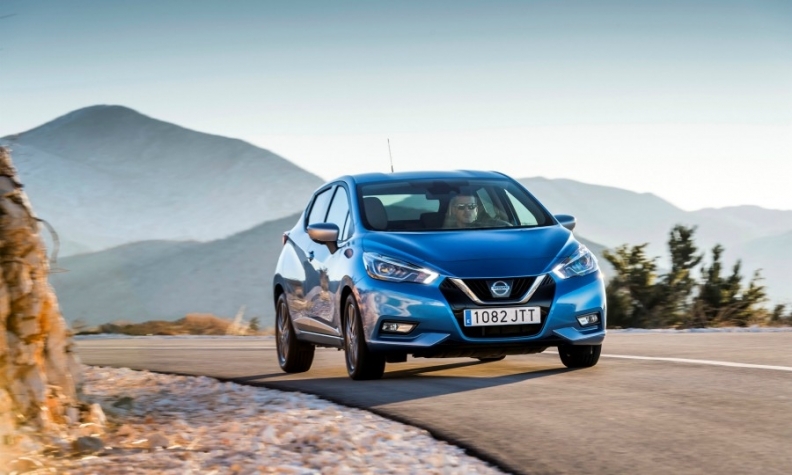 Nissan says that customers are spending more to personalize the new-generation Micra. Minicars such as the Mini and Fiat 500, and even the Opel Adam, helped prove there was a market for fully-loaded, higher-priced small cars. Ford Motor Chief Financial Officer Bob Shanks gave credit to former Ford of Europe boss Stephen Odell, who introduced the Vignale luxury subbrand to Europe, for driving this approach at the U.S. carmaker. "There is gold to be mined in the hills," Shanks said. With two out of three Fords sold in Europe this year either featuring high-end equipment such as its Titanium trim line or sportier powertrains such as the ST and RS versions, the brand decided the time was right for the Fiesta to receive its own unique Vignale line with the new generation. Nissan, meanwhile, learned from its Juke subcompact crossover that customers liked enhancing their vehicle with added interior or exterior parts. It applied this knowledge when replacing its previous-generation Micra, which was a slow seller because there was "little to no personalization" in the old version of the subcompact hatchback, Nissan Europe's head of product planning, Ponz Pandikuthira, told Automotive News Europe. Now that the new Micra, which debuted this year, has 125 variations to choose from, Nissan claims 25 percent of the car's customers are spending an average of 400 euros just to get a personalized design. Another growing customer group for subcompact is more mature drivers who after years of graduating to larger vehicles are looking to downsize because the kids are out of the house, urban congestion is getting worse and parking spaces harder to come by. Pandikuthira said these customers want the latest in safety features and creature comforts. "We're seeing a trend of people moving from C-segment hatchbacks to a B-segment hatchback, and the technology is a big part of the story," he said. "If you don't have the technology, people won't shop your vehicle." Tougher regulations are also playing a role in the push by automakers to pack their small cars with technology. To qualify for EuroNCAP's coveted five-star safety rating, a new-generation model should have autonomous emergency brakes with pedestrian recognition. Ford went a step further with its Fiesta and offers nighttime recognition of pedestrians, a first in any subcompact in Europe, which should help Ford's top-seller earn the top score of five stars (the new car hasn't been tested yet). Meanwhile, the budget Ka+ was given only a rudimentary safety system that earned the car just three stars. All this extra content and equipment however comes at a cost, and VW brand executives admitted they are having to swallow a chunk of it. Although the Polo's margin should improve over that of the previous generation, finance chief Arno Antlitz said not all cost cuts from purchasing its MQB modular components in bulk flows through to the bottom line as a chunk of it is gobbled up by adding content. "Over time MQB really fulfilled its promise in terms of material costs, however we reinvested a lot of these advantages into product substance for the new Polo, […] so you couldn't really see all the 20 percent [savings] in the car," he told investors in July. If a car cannot live up to expectations, it can quickly fall by the wayside. The segment for small hatchbacks is one of the most egalitarian of playing fields with every top 10 model easily surpassing the 100,000-unit mark – no other segment can claim such an even distribution of strength across competing models. "We lost our way with the car and the market punished us for it," said Nissan Europe's Pandikuthira of the current Micra's predecessor. Amid this fierce competition, it's been difficult for import brands such as Nissan to gain a strong foothold in the segment. Although carmakers such as Hyundai and Kia can make the top 10 in the minicar or compact class with the i10 or Cee'd, respectively, only Toyota can claim this distinction in the subcompact segment with its French-built Yaris. 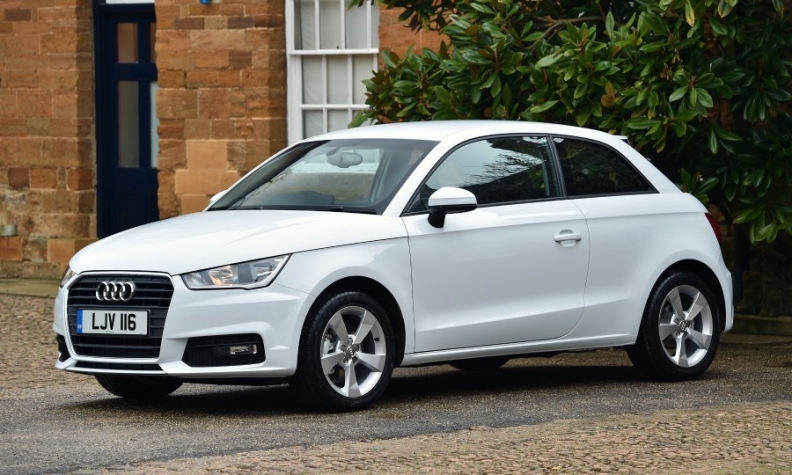 Audi is one of the few premium brands to have entered the subcompact sector with the A1. But that doesn’t mean they are giving up on the segment. Kia is giving its Rio all-new driver assistant systems while Nissan retailers completed one of the most ambitious training programs ever undertaken by the brand in Europe ahead of the new Micra's launch. About 4,300 Nissan sales executives from more than two dozen countries were involved in the 24-hour residential event to learn about the Micra's features, including the option of adding twin Bose speakers built into the driver's head rest for an immersive 360-degree listening experience. For premium brands, the small car market is far less attractive than the compact and midsize sectors. Amounting to only about 313,000 units annually and dominated by the Mini hatchback, Europe’s entry-premium sector is just a third of the size of the premium compact segment. Asked by Automotive News Europe during its second-quarter earnings call whether Daimler had any plans to venture into the small car segment, CEO Dieter Zetsche showed little interest. "If such considerations were to exist and lead to a positive result then we would inform you about them and that is not the case," he said. Just as Mercedes-Benz prefers to focus on big plans for its compact lineup, expanding its range to eight models, BMW would rather leave this part of the European market to its sibling Mini brand. Audi is the rare exception: able to rely on an old PQ25 platform used by VW to build the Polo, it decided to move down-market and occupy the entry-premium space with the A1. It's easy to understand why premium brands have little desire to get into the small car market. Margins are extremely thin. "Polo customers often are going over their budget to buy a new car, so they can be particularly time-consuming," explained the VW dealer near Mannheim. "Whereas, Polo buyers try to negotiate the best possible deal, a customer spending tens of thousands more on a much larger Passat typically requires a lot less effort." With the new Polo, VW hopes to put those days of haggling to the last euro behind it.